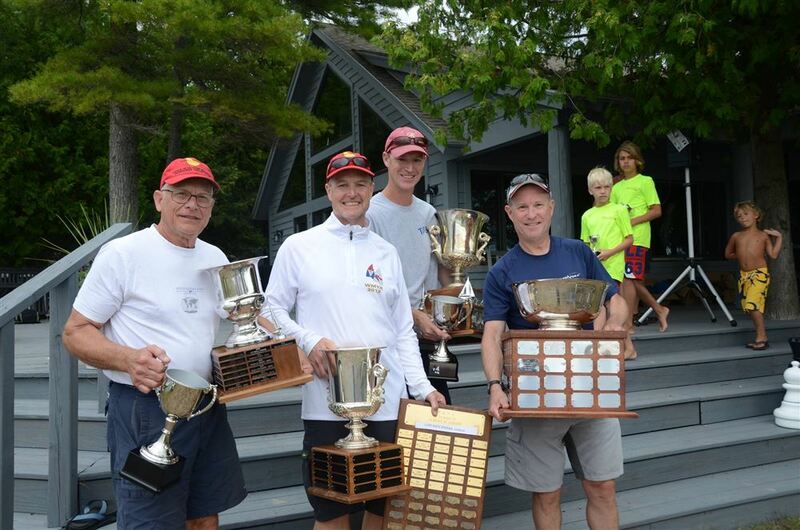 Johanson, Johanson, Gorgen, and Turner win 86th WMYA Championship regatta Held on Torch lake. The 2015 Westerns saw 22 E scows on the line. 3 races were completed in varied breeze. Race 1 went to Jamie Kimball who led pretty much the whole way around, but had to fight off a hard charging TO-33 with a text book Lee-bow at the finish. Torch lake rounded out the top four, with Casey Christensen in 3rd and Denny Malone in 4th, followed by Don Nelson from White Lake in 5th. Race 2 got underway after one general recall in light to medium, but building breeze. Rob Terry and Tom Monroe jumped out to an early lead, and were never to be seen from again until the finish. The rest of the fleet battled for the top 5 in building conditions. Steve Johanson climbed his way up to third, followed by Jamie Kimball in 4th and Brett Hatton in 5th. The final race got off in very light conditions. The breeze swung left right before the start, and a small pile up a the buoy caused for some difficulties getting off the line. The pack was led up the first beat by Doug Mcneil and Steve Johanson. At the top mark Steve Johanson hooked into some breeze and extended his lead and was able to hang on for the race win. Doug Mcneil finished second after sailing a great race to stay in front of Rob Terry, Tom Monroe, and Jamie Kimball and Casey Christensen who were all coming up fast. We were happy to see so many E boats on the line. Pictures can be found at Smugmug.com search: Dan Crites under “People”.